Located County Rd. 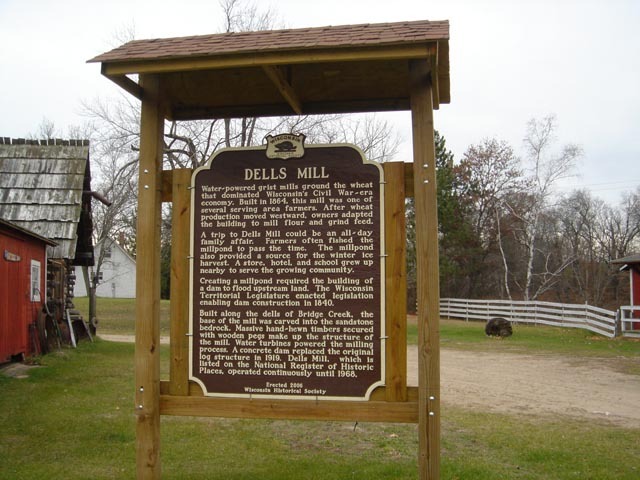 V off Highway 27, Approximately 3 miles North of Augusta, WI Coordinates Lat N 44:43':537" Lon W -91:08':912"
Water~powered grist mills ground the wheat that dominated Wisconsin's Civil War -era economy. Built in 1864. this mill was one of several serving area farmers. After wheat production moved westward. owners adapted the building to mill flour and grind feed. 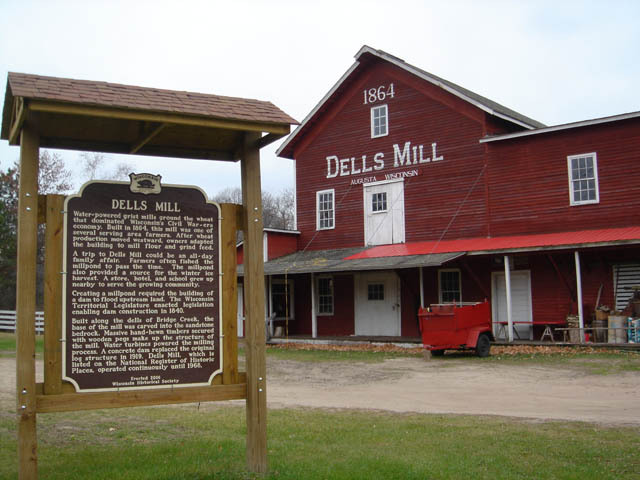 A trip to Dells Mill could be an all- day family affair. Farmers often fished the millpond to pass the time. The millpond also provided a source for the winter ice harvest. A store. hotel, and school grew up nearby to serve the growing community.